anticipation planning to advise the execution for the best option to take when facing choices by anticipating plans execution), and to forecast problems that may arise due to unforeseen situations. This approach relies on a common language to represent plans, actions, operational procedures and constraints. In particular, the description we propose makes transitions between planning activities and execution seamless. 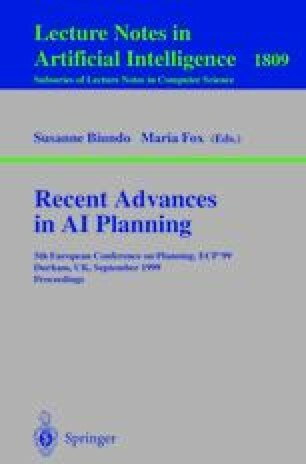 This work is used in two complex real-world problems: planning and control for autonomous mobile robots, and for the transition phases of a blast furnace.